Dr. Nielsen obtained his BS degree in pre-physical therapy from Brigham Young University in 1973 and his BS degree in physical therapy from the University of Utah in 1975. He entered the United States Navy serving in various clinical positions as a physical therapist over 20 years. During Dr. Nielsen’s last tour of duty, he served as Chief Physical Therapist for the United States Navy and as Physical Therapy Consultant to the Surgeon General, The United States Supreme Court, the United States Senate and Congress, the Pentagon, and the White House. Following retirement from the US Navy Medical Service Corps, Dr. Nielsen co-founded and served as President of the Institute of Clinical Electrophysiology in Provo, Utah where he served until becoming co-founder and President of Rocky Mountain University of Health Professions in 1998. Dr. Nielsen graduated from the University of Washington in Seattle with a MS degree in Neuro-kinesiology (neurophysiology) and from the University of St. Augustine in Florida with a Doctorate in Health Sciences (DHSc) degree with emphasis in Clinical Electrophysiology/ Neurophysiology. He is Board Certified (re-certified three times) as an Electrophysiologic Clinical Specialist and continues to see patients in Utah County on a regular (but limited) basis. He also serves on the faculty in the Clinical Electrophysiology Doctor of Science (DSc) degree program at Rocky Mountain University of Health Professions in Provo, Utah. He has authored chapters in textbooks and published in peer-reviewed journals in the specialty area of Clinical Electrophysiology. 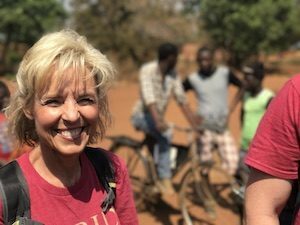 Dr. Nielsen has been involved in international humanitarian service work over the past 30 years. 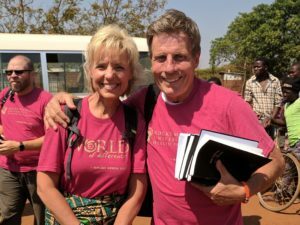 He and his wife, Jodi, co-founded a humanitarian foundation known as World of Difference and have built more than 20 primary and secondary schools for the under-privileged children in different African countries. 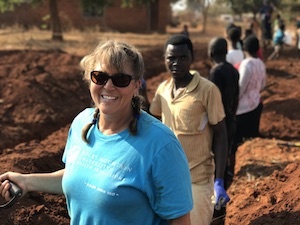 Over the past five years, Doctor of Physical Therapy (DPT) and most recently Physician Assistant (PA) students from Rocky Mountain University of Health Professions and Nursing faculty and Administration and Staff members from Ameritech College of Healthcare have joined the World of Difference teams where they engage not only in school building projects but also clinical rotations in third-world clinics and hospitals. Dr. Nielsen and Jodi were honored in 2013 as the American Red Cross International Hero Award winners. Dr. Nielsen and his wife Jodi reside in Salem, Utah and are the parents of five children and have six grandchildren and one great-grandchild. Dr. Melanie Carlone, physical therapist, is both a clinician and educator. She uses a broad holistic health and advocacy approach to empower people and communities in restoring vibrant function and optimal health. Her background in clinical and administrative settings in the Navy and civilian sectors have provided opportunities to work for many years, in many capacities, in Africa and Asia. From this unique perspective, she integrates ancient wisdom traditions with modern scientific advances in her advocacy work. In her work with World of Difference, she champions creative design processes that address health disparities in under-resourced communities. This approach facilitates individual and community sustainability practices and collaborative relationships that empower change. Such change is critical for resilience at home and in communities to prepare for an uncertain future and less available resources. Melanie received her Doctorate of Physical Therapy, from Rocky Mountain University of Health Professions, Provo, Utah, 2010, and a Master of Science; Physical Therapy, US Army-Navy Baylor University, Academy of Health Sciences, San Antonio, TX, 1989, as well as her Bachelor of Science; Psychology, Colorado State University, 1982. She was trained in 2 different yoga styles at the 200 hour level and is a registered yoga teacher with Yoga Alliance. Thomas Reams is a finance and accounting professional who works with owners, C-suite and other finance and accounting professionals to improve the performance of their organizations in order meet their long-term goals. Thomas believes in creating a fundamental foundation with well-defined roles, responsibilities and goals can help any organization to be successful. Be it a non-profit or for-profit company, the understanding of who you are and where you want to go is essential to being successful. Thomas has worked as an auditor, Chief Financial Officer, and eventually as the Chief Investing Officer of a billion-dollar organization. Thomas is an industry expert in several fields including non-profits, governments, education, radio, bio-medical, construction, multi-family housing and fabrication. Thomas’ true passion is that of helping others to help themselves. 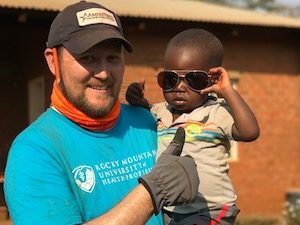 His belief in the human spirit’s ability to overcome has lead him to volunteer his time in several different non-profits ranging from anti-child abuse, cultural dance groups, refugee assistance, food banks, and ultimately his most passionate is helping the people of Malawi. Thomas is a graduate of the #1 nationally ranked accounting program at Brigham Young University, a trained auditor, and founder of several successful non-profit organizations. Betsy serves as an Executive Assistant to the President and Board of Trustees at Rocky Mountain University of Health Professions. She has spent decades supporting and partnering with c-level executives in streamlining processes enabling them to focus on key leadership goals. Previously, she served as a full-time missionary for the Church of Jesus Christ of Latter-day Saints in Minneapolis, MN. In this role, she lived outside of her comfort zone, and learned deeply the core value of what service to others really means. Service has been an important attribute that she emulates throughout her life. Betsy is a stage-3 colorectal cancer survivor who knows what it’s like to be served by others and who works hard to pay it forward to uplift all those around her. Her mantra in life is, “Because Good Happens!” She has been a keynote speaker on the topic of maintaining a positive attitude and finding joy through adversity and she is passionate about helping others see the good through their unfortunate situations. She has been part of the planning, organization, support and leadership team travelling to Malawi, Africa since 2016 and has assisted in the building and repairing of primary and secondary schools, a permaculture library, called the “bottle, bottle” library, a permaculture hostel for girls (so they may safely attend school), and she has worked on sustaining gardens and overall team development for yearly excursions. Betsy’s favorite memories in Africa are those involving love, service and enabling her brothers and sisters in Africa as she lives by the core principle her father taught her: “Give someone a fish and they eat for a day, but TEACH them to fish and they eat for a lifetime!” Betsy spends most of each day handing out the fishing poles of life and serving all in her path. 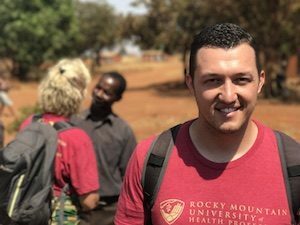 Tyler Sommer is a healthcare provider and professor who works with graduate-level healthcare students to help them learn the art and science of taking care of people in need. He believes in holistic, whole-person healthcare. Tyler is a nationally certified Physician Assistant who works full-time in PA education and part-time in clinical practice. He is currently the Academic Director and Assistant Program Director of a graduate PA program at Rocky Mountain University of Health Professions. Additionally, he sees patients one to two days per week at a federally qualified Community Health Center, treating patients without health insurance or the means of paying full cost for their healthcare needs. Since 2016, Tyler has worked hard to establish strong clinical relationships between World of Difference and both healthcare and educational institutions in Africa. These relationships help facilitate successful interprofessional collaborative experiences between American and Malawian students and healthcare providers, both in the clinical setting and the classroom. Tyler holds a Bachelor’s degree in Neuroscience from Brigham Young University, a Master’s degree in Physician Assistant Studies from AT Still University of Health Sciences, and will soon finish his Doctorate degree in Health Promotion and Wellness from Rocky Mountain University of Health Professions. 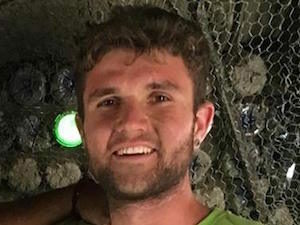 Hunter Kilmarx is a Mechanical Engineering Student at the Oregon State University Honors College. He believes in using technologies and materials, both innovative and traditional, to create more sustainable and efficient systems. Hunter has spent much of his life living and traveling in third-world countries. This understanding towards some of the hardships posed in these countries has pushed his studies into an emphasis on ecological and humanitarian design. Hunter has fundraised and worked with numerous orphanages in Zimbabwe, as well as the fundraising and construction of an orphanage playground. 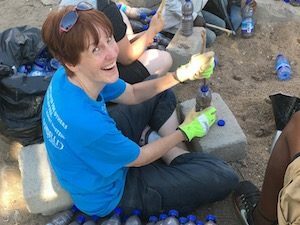 Since 2016, Hunter has played a key role in the in-country operations and management in the World of Differences annual service trips.